There are an endless number of supplements, herbs, oils, etc. that are touted to provide all kinds of benefits for the human body. 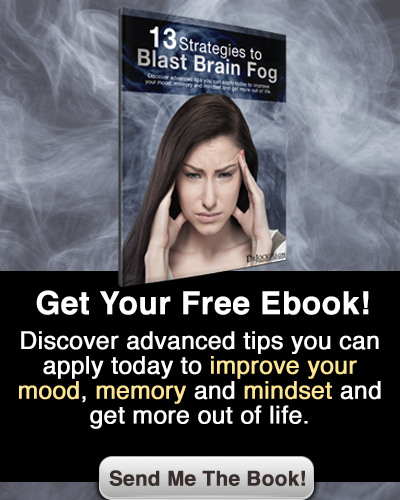 My goal is to sift through all of these and find the most powerful healing compounds with wide-scale benefits to help keep people from going down the overwhelming route of taking every new thing they hear about. Lion’s Mane, also known as Hericium erinaceus, is one of those powerful compounds with the potential to provide many health benefits. 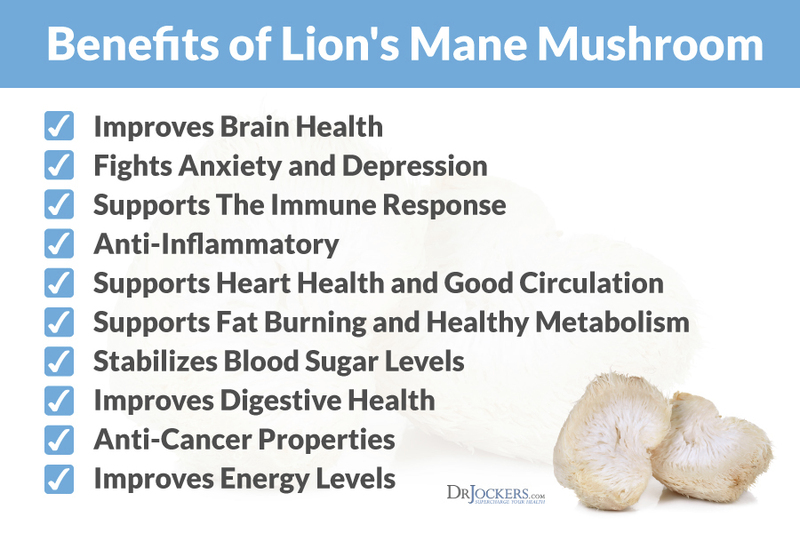 In this article I am going to break down exactly what Lion’s Mane mushroom is, its benefits, and how to use it on a daily basis to take your health to the next level. Lion’s Mane is a mushroom that resembles, well… the mane of a lion. This odd-looking fungus is most well-known for providing brain-boosting or nootropic effects. While this is what it is most well-known for, there is research going on to investigate many other benefits from anti-cancer to diabetes prevention (we will go into these shortly). Many people are hesitant to start consuming foreign fungi that they’ve never heard of before. Despite its strange look, it can now be purchased in high-quality extracts that eliminate many of the concerns that people have. Additionally, you should know that there is a whole list of powerful mushrooms emerging as some of the most potent superfoods the world has to offer. Add that to the fact that a single study found that lion’s mane has the potential to provide antimicrobial, cancer fighting, diabetes preventing, energy boosting, blood pressure balancing, cholesterol improving, age slowing, heart protecting, liver protecting, kidney protecting, AND brain boosting benefits… This is a true superfood to add to your daily regimen. Lion’s Mane mushroom has been used for hundreds, if not thousands, of years. Having its origins in traditional Chinese medicine, the Chinese always suspected powerful brain-boosting and protecting effects. While these suspicions have been largely confirmed by modern research, this mushroom’s benefits may outweigh anything we ever expected. In America, we may think of something like lion’s mane as a supplement to take along with things like vitamins and herbs. Certain Asian cultures, however, have seen lion’s mane as a culinary staple. It has been used traditionally as a centerpiece to many Asian dishes, often taking the place of things like seafood or other meats. Consequently, when consumed fresh after harvesting, it is said that this mushroom actually has somewhat of a meaty texture and taste resembling that of shrimp and lobster. When we look at the genetics of various organisms, fungi are actually very similar to humans. Maybe this is why they are able to provide us with such powerful healing benefits. Other mushrooms that are emerging as powerful healers include: cordyceps, reishi, turkey tail, king trumpet, shiitake, and many more. Might mushrooms be some of the most powerful healing compounds on the face of the planet? I am starting to think that they could be. That is why I now use a variety of them in supplemental form on a daily basis (more on that later). Okay so Lion’s Mane is a superfood, but WHY is it a superfood. Now it’s time to break down the top researched benefits of this powerful mushroom. This is not an extensive list; however, these are some of the health benefits that stood out to me the most. Lions’ Mane is most well-known for its effects on the brain. First and foremost, it is considered a nootropic. 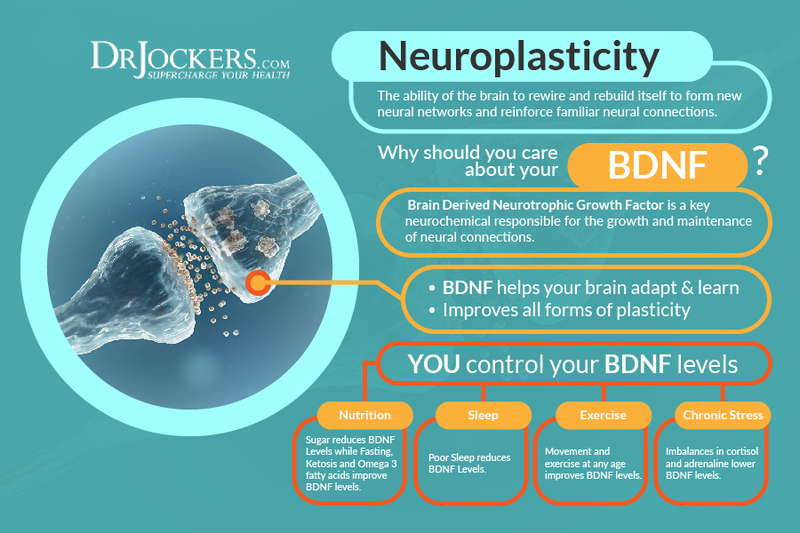 A nootropic is simply anything that is able to enhance mental acuity without any negative side effects. Biohackers and high-performers are starting to use Lion’s Mane for this purpose. The benefits don’t stop there. Lion’s Mane actually stimulates the growth of new neural pathways in the brain, giving it powerful implications for helping things like Alzheimer’s, Parkinson’s, and even neuropathy of different kinds (1, 2, 3). Finally, this mushroom has been shown to protect brain cells and nerves from degeneration due to various environmental threats we face on a daily basis including: environmental toxins, certain drugs, and our bodies’ own inflammatory processes (4, 5). Not only can Lion’s Mane improve brain function, but it may also offer relief for those suffering anxious or depressed feelings. Preliminary studies are showing that it may do so by upregulating neurogenesis in the hippocampus of mice (6). The hippocampus is the area of the brain that is thought to be responsible for regulating things like emotional responses and memory. 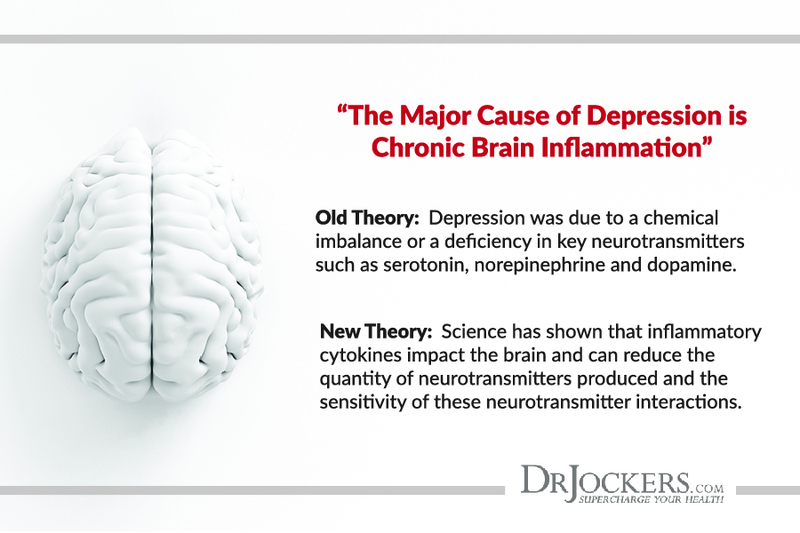 There is also evidence that depressive symptoms are related to neurological inflammation (7). Given Lion Mane’s anti-inflammatory effects, this could be another way in which this mushroom can help fight these unwanted emotional responses. In addition to its antimicrobial effects, it seems that one of the primary reasons for the wide-ranging benefits of this mushroom are that it boosts the immune system (8). Poor immune function and rampant inflammation are some of the primary underlying causes to almost all of the most prominent chronic diseases we face as a society today. One of the primary causes of immune dysregulation and chronic inflammation in today’s society are digestive disorders such as leaky gut. Astoundingly, there is recent evidence showing that Lion’s Mane extract may support the immune system by having a positive impact on the gut microbiome (9). Anything with anti-inflammatory effects will likely have many benefits for the human body. Lion’s Mane has been shown to reduce inflammation through several different mechanisms including: reducing nitric oxide, pro-inflammatory cytokines, oxidative stress, and prostaglandins (10, 11). This anti-inflammatory effect may have implications for things like autoimmune conditions, digestive disorders, mood disorders, neurodegeneration, cancer, metabolic disorders, and probably much more. Not to say that a single mushroom is a cure, but a good tool in the arsenal when trying to rebuild your health or simply live a life of vitality. Lion’s Mane can improve heart health by balancing cholesterol levels as well as potentially improving circulation throughout the body. One animal study found that consuming an extract of this mushroom reduced total cholesterol in addition to LDL and triglycerides. At the same time, it may also increase HDL cholesterol (12, 13). Additionally, it may improve circulation by inhibiting platelet aggregation and preventing the thickening of arteries characteristic of atherosclerosis. Something I notice with almost all of my coaching clients dealing with some type of chronic disease is that they often have signs of poor blood sugar regulation. Getting blood sugar balanced is one of the first strategies towards lowering inflammation and putting the body into a healing state. Consuming Lion’s Mane on a regular basis may assist in balancing blood sugar levels by assisting insulin and improving glucose tolerance at the cellular level. As I mentioned already, digestive tract issues are very common in chronic inflammatory conditions such as autoimmunity. Taking an extract of Lion’s Mane on a regular basis may help protect the gut by preventing the growth of unwanted microbes, strengthening the gut lining to protect against ulceration, and even control inflammatory conditions such as gastritis or colitis (14). In addition to other powerful modalities like fasting, ketogenic diet, hyperbaric oxygen therapy, and cancer stem cell killing nutrients, Lion’s Mane may be another powerful tool for helping the body fight off cancer. One of my goals with most people who are trying to get healthy and experience their true vitality is to turn them into fat-burning machines. This is why I advocate for things like intermittent fasting and a ketogenic lifestyle. Sometimes people need an additional boost to get them into that primer fat burning state and this is where things like MCT oils, CLA, L-Carnitine, exogenous ketones, and now Lion’s Mane. It is thought that it is able to provide this fat burning effect by boosting the production of short-chain fatty acids in the colon, although this requires more in-depth research (16). With all of the benefits listed above, it would be a surprise if this mushroom didn’t provide you with a bit of a boost during the day. The combination of brain-boosting, anti-inflammatory, circulation-improving, and blood sugar stabilizing benefits makes Lion’s Mane a great everyday performance booster for the high achiever or simply someone who wants to live life to their highest potential. While you likely will not feel an energetic boost on the first day taking it (maybe you will), taking it on a daily basis over time will likely provide the greatest benefits. The benefits of Lion’s Mane are diverse and may be much broader than we originally thought. If you are looking for ways to incorporate more of this medicinal mushroom into your daily routine, there are a number of options available to you. In some parts of the world, it may be an option to purchase Lion’s Mane fresh and consume it how it was traditionally consumed. For most people this is not an option and a dry powdered form is the next best option. This can be purchased in capsulated form (here) or as a loose powder (here). Powdered Mushrooms can be added to soups, stews, smoothies, fat burning coffee, or even taken straight with water. Extracted forms are a great way to get concentrated benefits of different kinds of herbs and mushrooms. Extracts commonly come in either powdered or liquid forms and are often much more potent than the mushrooms that have just been dried and powdered. There are many great forms but one of my personal favorites currently is this dual-extracted form by Four Sigmatic (here). It contains one of the highest quality extracts that is easily dissolvable in a beverage or recipe of your choice. Lion’s Mane is superfood support for the brain. As someone who is always looking for a mental edge, I use this mushroom every day. That being said, I am always looking for ways to combine different lifestyle strategies, dietary strategies, and supplements for the maximum benefit. At the root of this approach is the ketogenic diet. This is because the brain runs exceptionally well on ketones. On top of that, I follow fasting practices and use various medicinal foods daily. Eventually this habit led me to develop one of the most comprehensive performance enhancing supplement stacks I know of. It combines the ketogenic benefits of ketones and MCT oil, along with a potent mixture of medicinal mushrooms (including Lion’s Mane of course) and amino acids. This is now my go-to performance and brain boosting supplement. It is called Keto Edge. Just about anyone would find it desirable to be able to maintain a high level of mental acuity into old age. We now know of several powerful strategies and natural substances that can assist in achieving this aspect of longevity. Lion’s Mane mushroom is one powerful tool in the toolbox for keeping the brain young and sharp. Many different supplemental forms exist on the market and, as always, not all are created equal. I have provided my current favorites as well as my next-level brain support formula Keto Edge. I just love this because I’m pregnant with triplets and I’m 35 and I’m stressed about my loan on the house and I’m in stress and I need something like this. Thank you and have a wonderful night!!!! I hope it helps Christina! Blessings! I took Lions Mane, for 5/6 days about a teaspoon in morning. Having a heart attack. I have stopped it and so far I am fine. No headaches nor the feeling of a tourniquet on my arm. Would like to know if any one has felt like that. For me it was a foggy strange headache that lasted about 3 hours. I waited several days then tried again and the same thing happened.